Book Unique Classic Cars for Productions and Events. Tailor your worry-free experience with our team of specialists. Car owner? List your classic car! Let your classic car work for you! Listing your vehicle on Vinty is simple and takes about 10 minutes. Have fun and get your car featured in movies, advertising, and other special events. Not sure where to begin? Complete this form & we'll get right back to you! Do you need help now? Chat with us or give us a call at +1 (800) 906-6907 (M-F 9AM-5PM Pacific Time). For the US, you can leave the country code blank. Where do you need a car? We need to know the type of car, the exact location, if you need a driver (or not), the timeline, etc. This is very helpful, thank you! Vinty works with local classic car owners and rental companies to provide you with the best vehicles and the best customer service. Our fleet of luxury vehicles belongs either to professional car rental companies or private individual collectors that cherish their fancy luxury classic cars. With Vinty, you will be renting classic cars in pristine condition. Your classic car rental experience will be all about unforgettable memories! "We rented a classic car from Vinty as a photo shoot prop. We chose the Bel Air for its style and color. The vehicle exceeded our expectations, as well as the service!" Kate C.
Our beloved customers include the following companies. "Truly one of the best work experiences of my career. I will recommend VINTY 100%." "The car was in perfect condition and the driver was incredible. Thank you Vinty!" -Sande B. "Fantastic, super fast, customer service. I was very pleased.” Andy C.
"Every person I worked with at Vinty was fantastic! The communication was prompt and thorough" Margaret M.
With such great feedback from our customers we can't wait to begin serving you! 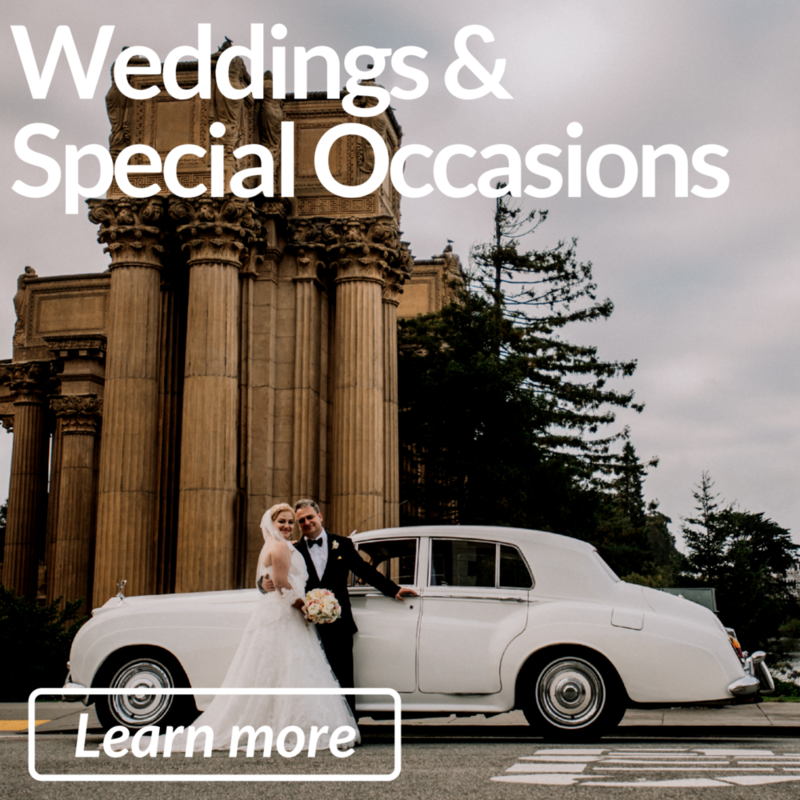 Planning your trip with a vintage car or want to make your wedding stand out? Want to learn more about classic cars? Take a look at some of our blogs and articles.. Remember that 1965 Mustang convertible you gawked at on the street a few days ago, that 1970 Chevrolet Impala in your favorite movie or that 1982 VW Vanagon Westfalia you wanted for the road trip you’ve been pushing off… Well, we remember these cars too, and we are driven by the desire to make these dreams come true! Whether it is for a day of fun, an adventurous road trip or your wedding, we have the car you've always dreamed of! Founded in 2016 in California, Vinty was inspired by the passion for great classic cars and the desire to help everyone enjoy the thrill of a unique driving experience! We partner with the best classic car rental companies to make sure your ride is memorable so browse our inventory and choose your car! See you on the road! The Vinty Team.